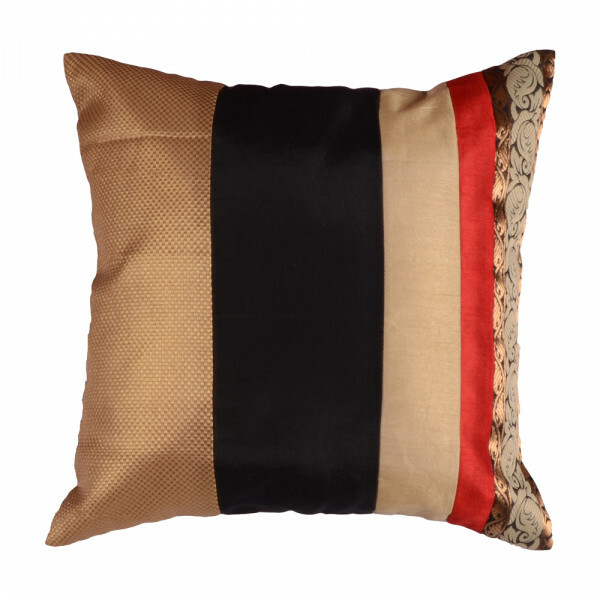 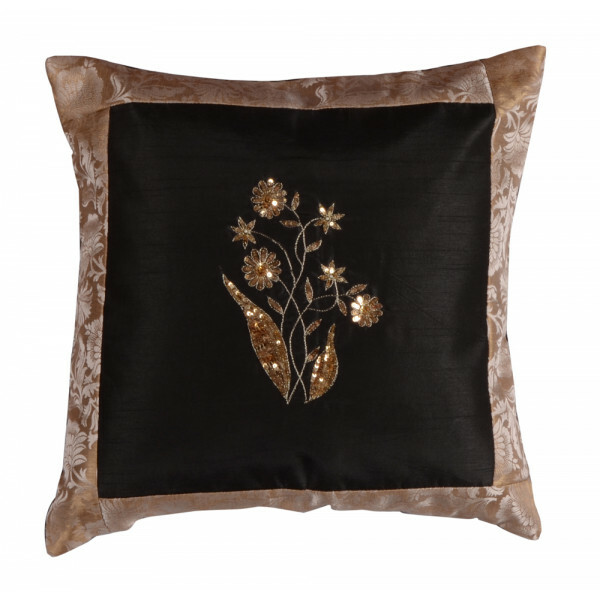 Brocade is an ornate shuttle-woven fabric, often made with colorful threads like silk,cotton, polyester, and sometimes with gold and silver.The famous paisley motifs are embroidered on the prime border of this cushion with white silk thread and golden zardozi work is done at inner border. 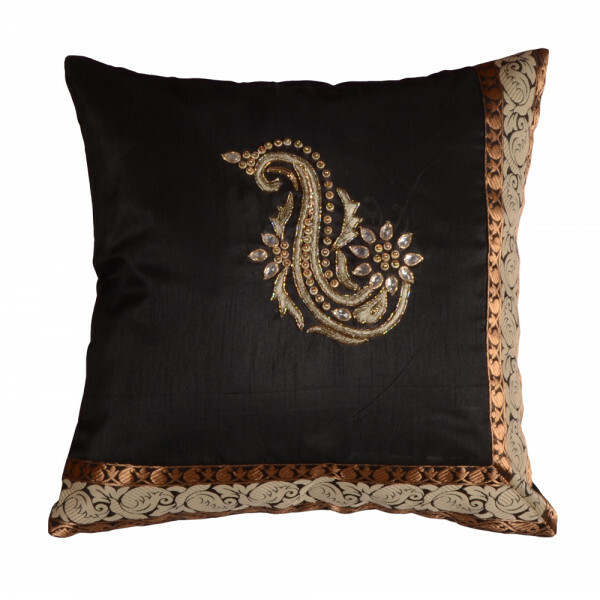 The rest of the base has arresting black brocade work. 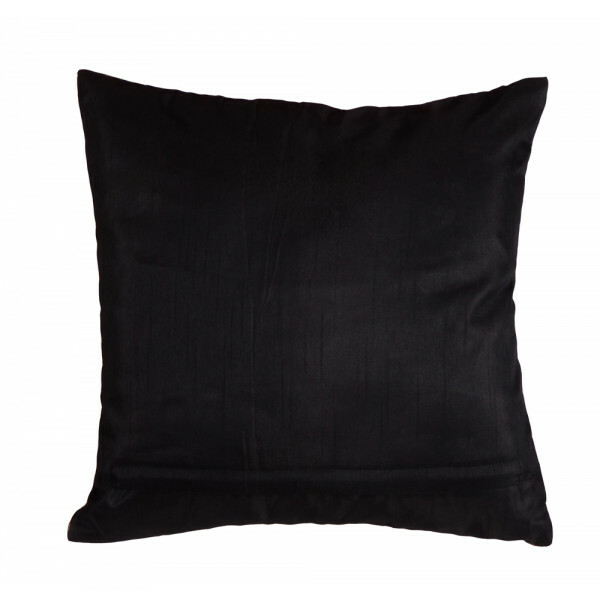 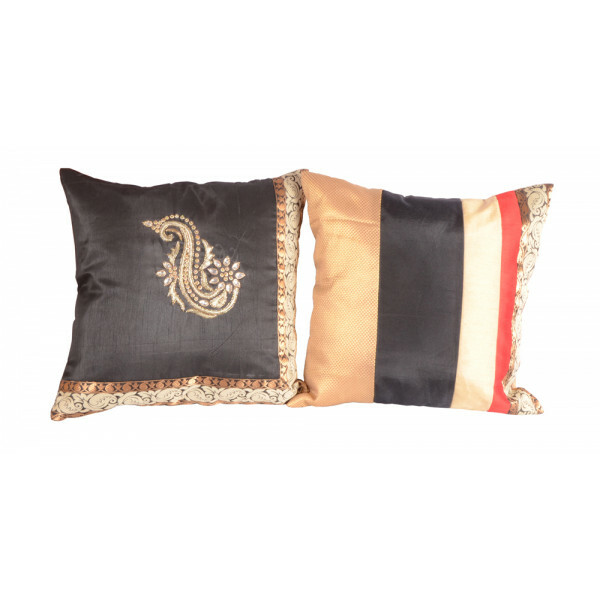 This pair will surely add a dash of richness and allurement to your interiors.